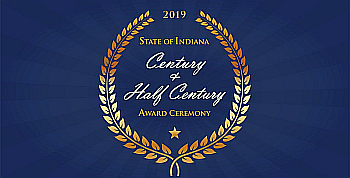 Last year we were honored with a Half Century Award from the State of Indiana. (See previous post here.) IEDC and Governor Holcomb did a fine job with the presentation. I recently saw that friend of Easterday Construction, Good Oil Company, was honored in this year’s presentation on March 21st. This from the official announcement: Good Oil Company, founded by Don O. Good Sr. in 1941, is a fuel jobber and owner of the Good To Go convenience store chain, which operates 16 retail locations and supplies more than 100 dealer locations. Along with giving back to the community through philanthropic events and sponsorships, Good Oil raised more than $40,000 this past summer for local schools through its “G.O. for School Safety” campaign. We hope the Good family had the same experience of pride we did standing on the stage with the Governor. Keeping any company going for decades is an accomplishment, but keeping family businesses going through multiple generations can be even more challenging. The acknowledgement of the State and our highest State Executive was heartwarming.